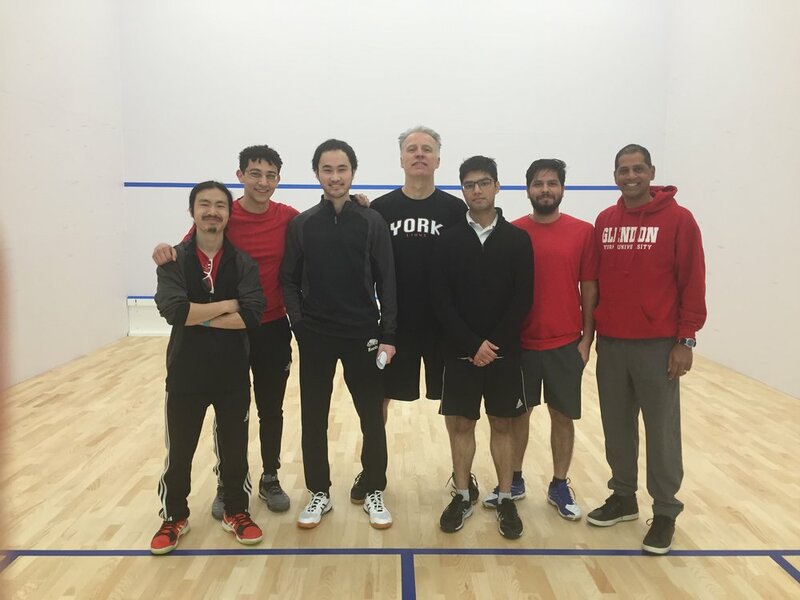 The university squash scene continues to expand across the province with each season and the level of squash on display is increasingly exceptional. 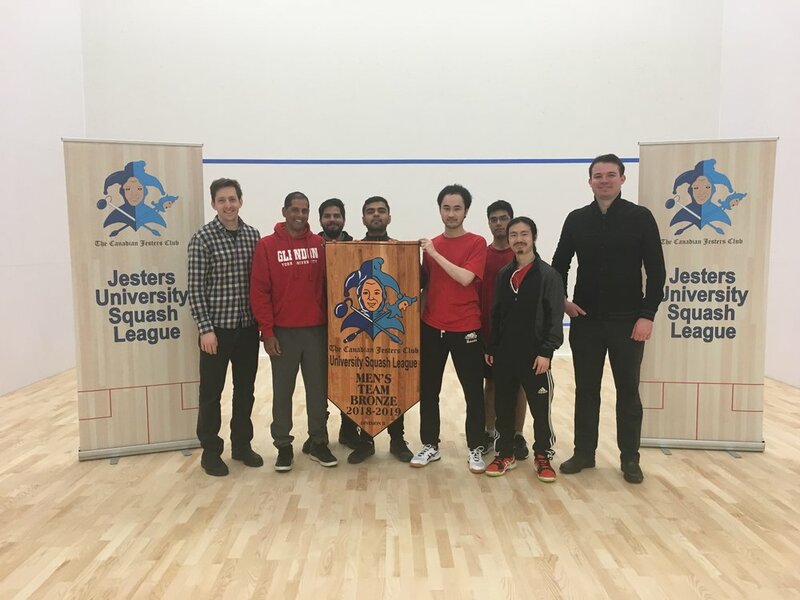 The 2018-2019 season welcomed numerous new teams into the league and this past weekend was a brilliant event to culminate the season for the Division 2 Teams and Emerging Teams from the Jesters University League. In the Men’s Division 2 draw, a powerful roster of men from McGill edged out an intense 4-3 win over the Laurier Golden Hawks to clinch the Division 2 title and accompanying banner. 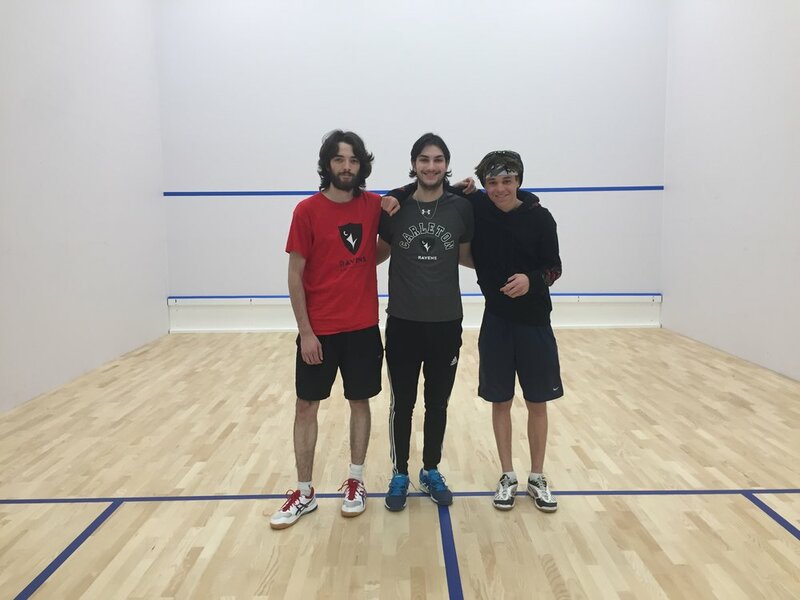 The match started with Heron Zhao of Laurier besting Aoun Yaqoub of McGill, while Chaim Weinerman of McGill beat Mitch Robinson of Laurier. Matches all tied at 1 each. 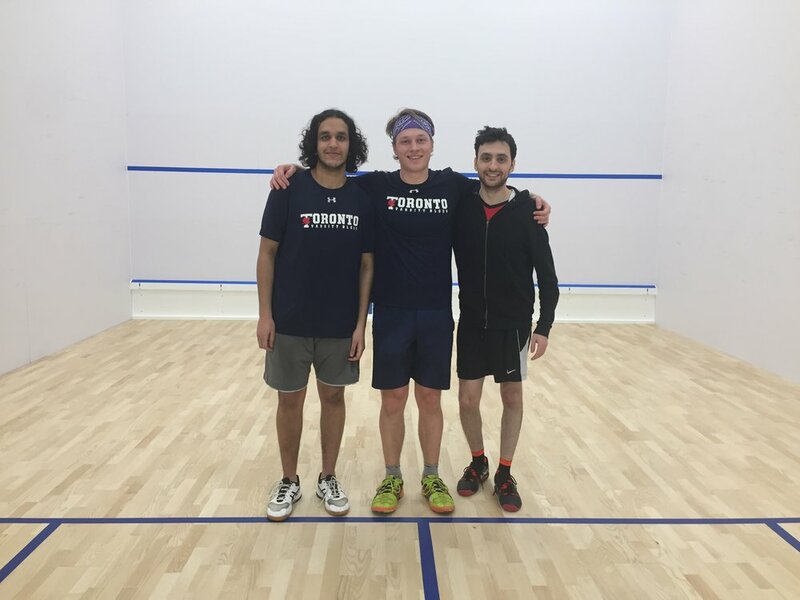 The match continued in a similar fashion with McGill’s Nicholas Laporte and Britton Holman winning at the #5 and #6 spots, respectively, while Laurier’s Leon Trillia and Andrew Milumm took charge of the #2 and #3 spots. Matches all tied at 3 each. All the pressure was on the shoulders of team captains – Tommy Guest representing Laurier and Maximillien Godbout playing for McGill. 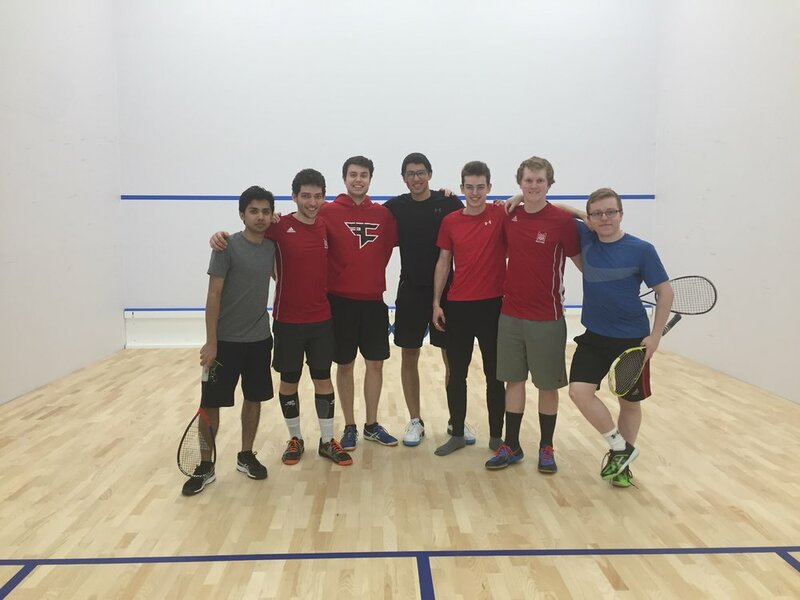 With the support of onlooking teammates and peers, Godbout started the match in a dominant position, winning the first game 11-3, taking the next two games, and the Division 2 championship, with scores of 11-5 and 11-7. Congratulations McGill! The Men’s Emerging Teams draw saw representation from Ryerson University, Carleton University, University of Windsor and a wild card team from the St.George campus of the University of Toronto. All four schools brought athletes in high spirits, excited to compete, proving their suitability to compete amidst the Jesters University League in coming seasons. 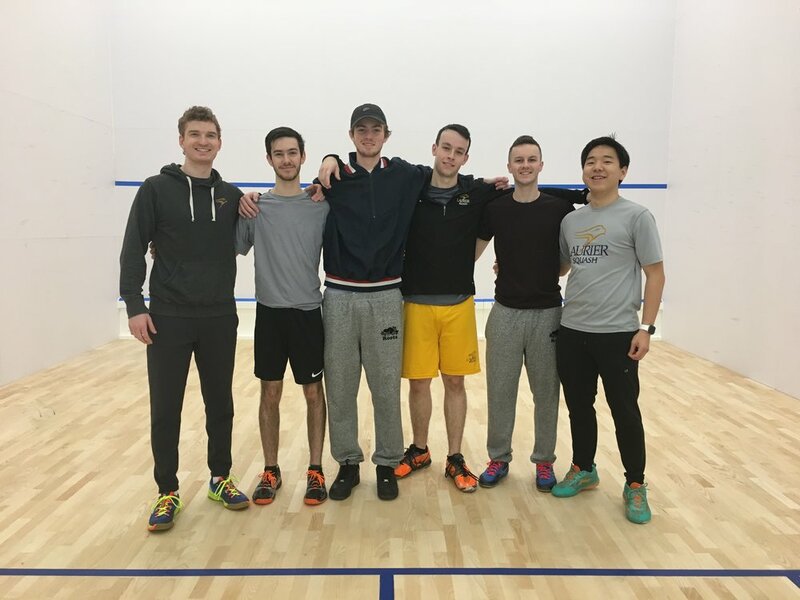 Ryerson University, captained by Junior star Will Harris, finished the day on top – winning all three team matches, and only dropping 2 matches along the way. Rounding out the podium was a Carleton team of Barrett Aass, Alec Sleeth and Liam Curran in the silver medal position. 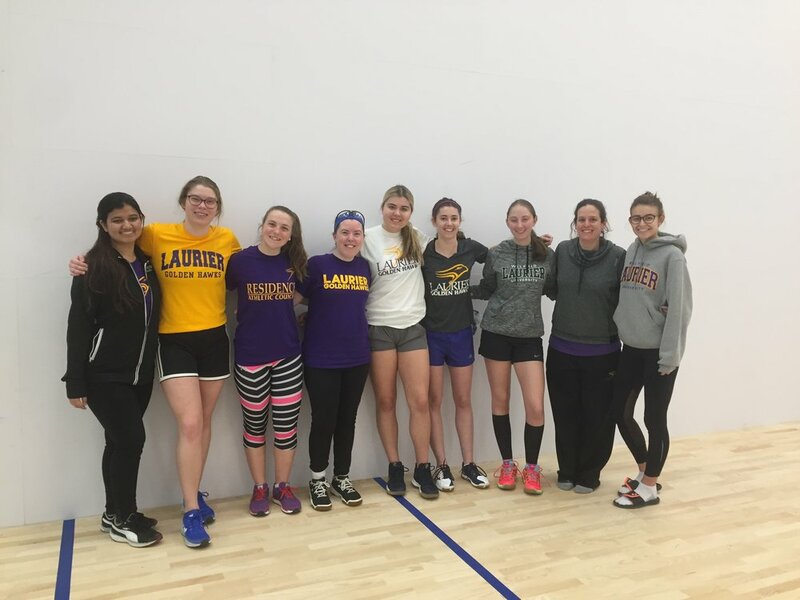 In the Women’s draw, an Emerging Team from University of Windsor competed amongst Division 2 teams of University of Ottawa, University of Guelph and Wilfred Laurier University. 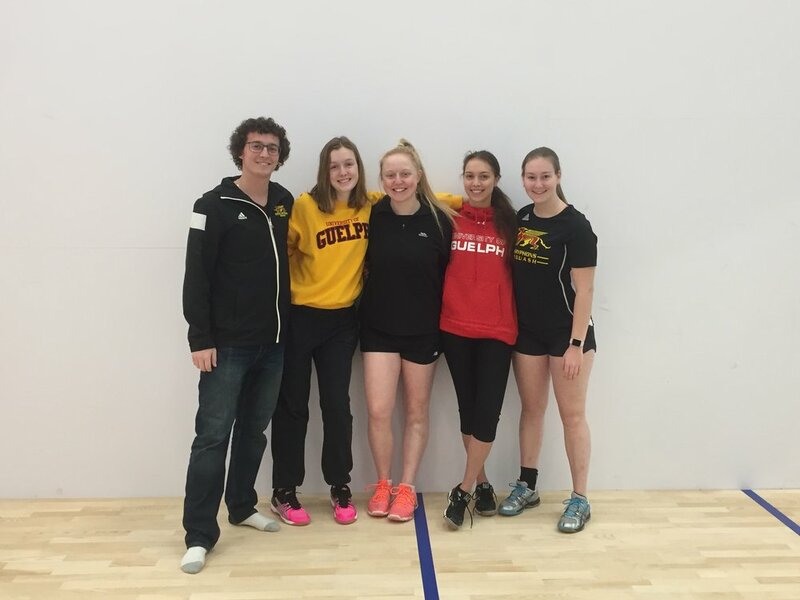 The Windsor women, comprised of Mackenzie Elliot, Rachel Cote, Simone Jankuloski and Gina Marinelli were joined by Carleton student Helen Kennedy and demonstrated an impressive display of squash, winning the draw as an emerging team. Windsor was not included in the final tally since they were in a different division, allowing for Division 2 championship banners to be presented to Laurier – Division 2 Champions, Guelph – Division 2 Finalist, and Ottawa – Division 2 Bronze. Congratulations to all athletes and teams for a successful 2018 – 2019 Jesters University League Season.